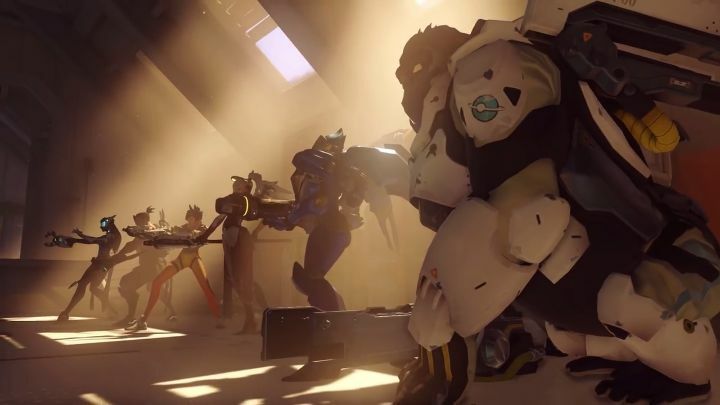 Blizzard’s Overwatch has turned out to be one of the year’s top video game hits, as the game surpassed the 20 million player mark last October according to developer Blizzard. The game’s popularity likely has a lot to with Overwatch’s colourful and diverse roster of characters, fast-paced multiplayer action and deep gameplay, as this is a game that’s easy to play but difficult to master, much like earlier Blizzard hits such as Starcraft. And those players curious to try the game now have an opportunity to do so as Blizzard will be allowing people to play the game for free this weekend. This offer begins on November 18 and ends on Monday 21, with the exact start times for each region on display in the picture below. Although those looking to play Overwatch for free on console need to know that a PlayStation Plus or Xbox Live Gold membership is required in order to take advantage of this offer, and also that the download required to play the game weighs in at 12 GB, as detailed on Blizzard’s official website. 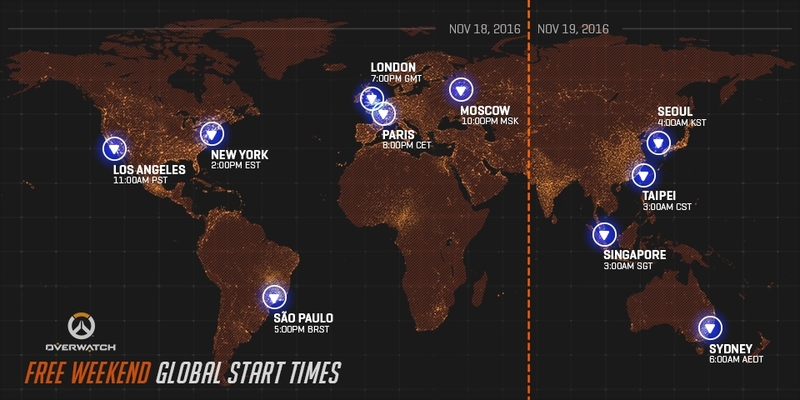 During this free weekend, players will have access to all of Overwatch’s heroes (including the recently revealed Sombra character) and the game’s 13 maps. Progress made during the free weekend will carry over to the full game, which is certainly a good bit of news for those who decide to purchase the game afterwards (although unfortunately players won’t be able to earn any trophies during the promotion). In order to play Overwatch for free this weekend, PC gamers will need to download Blizzard’s Battle.net desktop app (available here) and create a free Battle.net account if they don’t already have one. Upon running the app and logging into Battle.net, players have to click the Overwatch icon in order to install and play the game. PlayStation 4 owners, meanwhile, will have to do a search for “Overwatch” on the PlayStation Network and select “Overwatch Free Weekend”, and then proceed to download the game in order to play Overwatch for free until November 21. Those gaming on the Xbox One will have to follow a similar procedure, searching for “Overwatch” on the Xbox One Store, selecting “Overwatch: Origins Edition” and clicking on “Free Trial”, being able to play the game after the download and installation process is complete. What’s clear, though, is that this free weekend is good news for those who were looking forward to try Blizzard’s Overwatch, which undoubtedly is one of the top video games of the year, offering the same addicting gameplay and exciting multiplayer as other Blizzard hits like Diablo and Starcraft did back in the day.